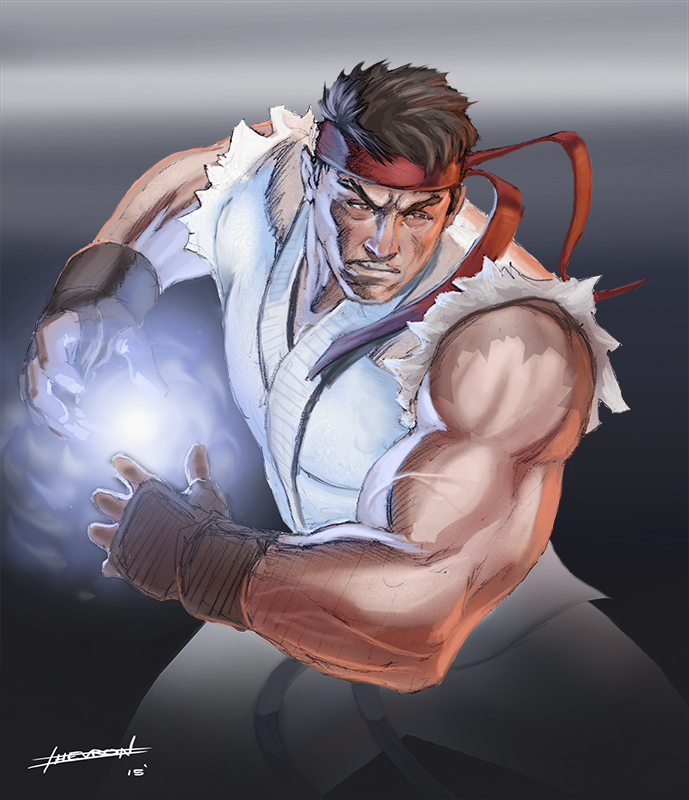 I did a warm up sketch the other night of Ryu and just had to color it! Nice work. :) I especially like the lighting, and the texturing on his hair.